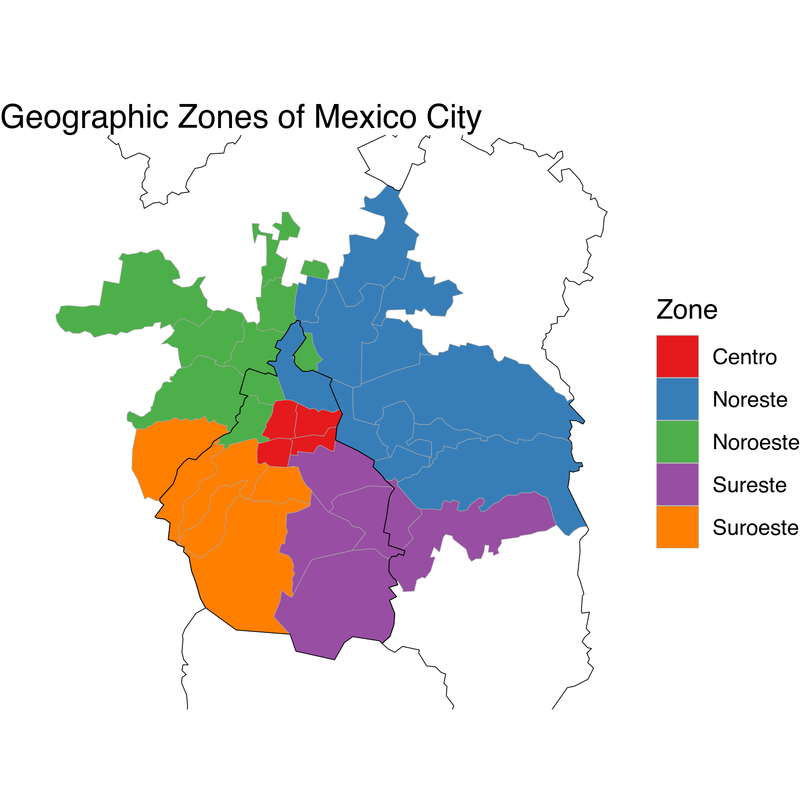 For analyzing the effect of pollution, Mexico City was divided into five zones. The function get_zone_imeca can download data for each zone as measured in IMECAs as opposed to the original units that get_station_data uses. 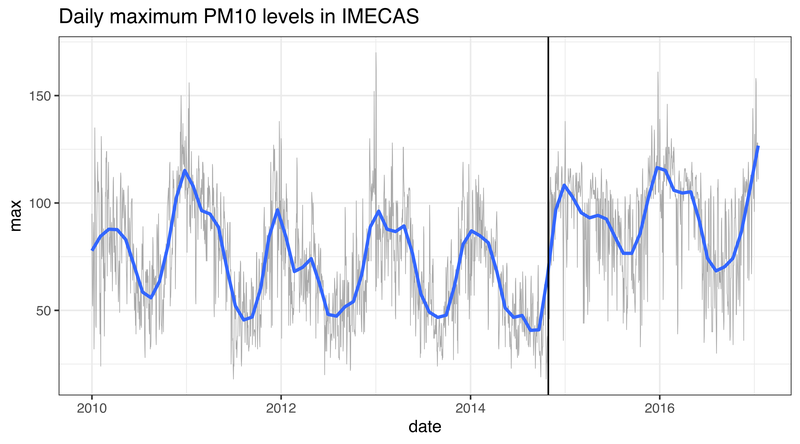 ## which will replace the existing scale.